This holiday season, let the games begin! How to survive family time: Drink 'nog. Play games. Leave your ego behind. When the whole famn damily is gathered under one roof for a loooong holiday weekend, video games can save the day. 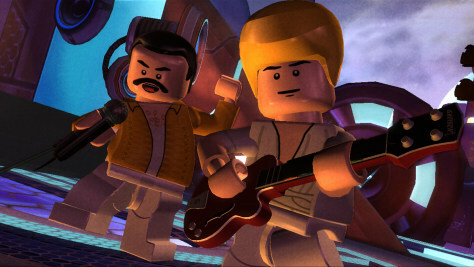 "LEGO Rock Band" is one good way to get your kith and kin playing nicely together.